End of the Year – Trying to finish it off! However, it finally hit me. I’m having a hard time finishing up the rest of the year. This year was better than most, some years it is really bad. It is not that I do not want to teach, it just happens that near the end of the year things do not go quite as smoothly as they usually do. I am not sure how it happens for we have a schedule. However, for whatever reason, things seem to break down near the end of the year. Right now we have about 2-3 weeks of school left, but oftentimes things go wild 2 months before the end of the year. I think part of my problem is that I’m thinking ahead. 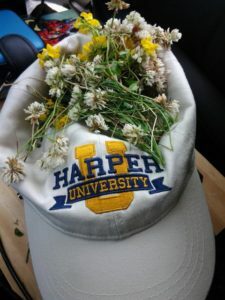 It is about this time of year that I get really excited about the next year – all the ideas and changes and thoughts and wonderful things we are going to be doing, I just want to sit down and organize it all now. Don’t get me wrong, we had a wonderful year, at least from my perspective, however I just get excited about the fresh start each year. The last two years have been wonderfully amazing, and I can see how next year can be even better. The new secular program we have been doing has been wonderful for us. We have been doing a Charlotte Mason program – Ambleside Online. There are several versions of Ms. Mason’s curriculum, and the version I have is an online version. The perk to it being online is that most of what we use is available online, and they have made it very convenient and put links for all the available books. There are two main reasons why I really love this program. The first reason is that it is God based. One could use it without religion if one desired as there are other reasons to use the curriculum even without religion, and one could very easily change it from a Christian based curriculum to a Jewish based curriculum like I did. All I really need to do is remove the books that are not for me (i.e. Bible, Christian history) and replace them with what I want (i.e. Torah and Jewish history). I have found the books that remain make it easier for me to include God in our entire schooling, not just in the “Jewish” part of it. In our science when we are talking about volcanoes and earthquakes and the book mentions the “One Who create all but we are not going to know but you know Who it is” (and yes, this particular book words it this way, it is cute and I really like the book) to learning about Joan of Arc and we see the miracle of how the small French army wins over the larger English army, and how when they finally crowned the real King of France, we see how God runs the world and how the French coronation is actually very similar to how the Jewish kings were crowned. The second reason I fell in love with the Charlotte Mason approach is because she focused on SHORT lessons. The younger years (through year 3) have 10-15 minute lessons. That is all! Why? The child cannot sit for longer than that without getting bored and distracted. Do not let the child get bored for you want to keep their interest. Older children can focus more so the older years have 30-45 minute lessons depending on the section/day. Another bonus to short lessons is that it is great for those of us who are teaching a dual curriculum. You can actually teach all the subjects, in depth, AND teach another full curriculum! And not only that, if there are multiple children you are teaching, hey, there is time enough for all of them, what more could I ask for? God in all facets of life, and time to teach all my children. It has been two years and I am very happy. I still have not been able to include all I would like to include into our schedule, however, slow and steady wins the race they say. We have done better this second year, and I am very confident that I will be able to do better this coming year. Now, to try to focus for a few short weeks so we can get done! Author adminPosted on May 29, 2012 Categories Curriculum, HomeschoolTags Ambleside Online, AO, Charlotte Mason, end of year, next year2 Comments on End of the Year – Trying to finish it off! 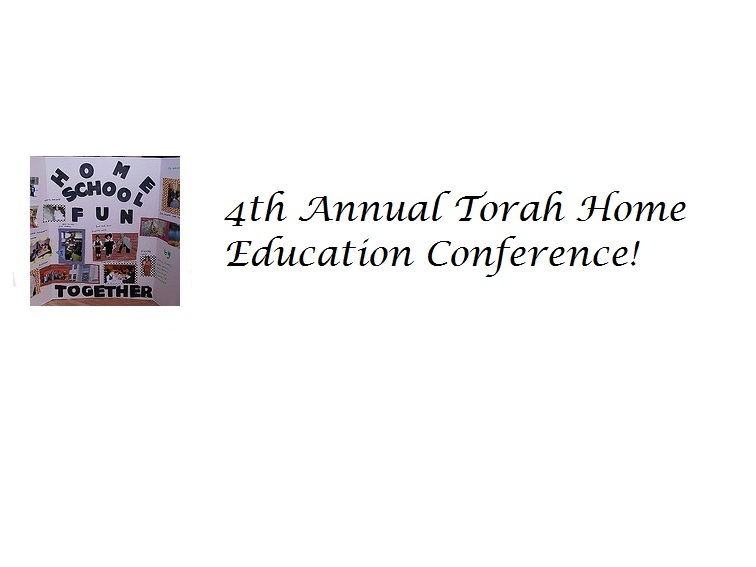 2012 Conference Videos Are Here! They can be purchased off of Mind Bites. There was a wide range of topics, from Financial Literacy in Your Homeschooling, to teaching Bar/Bas Mitzvah and Beyond, to Technology in the Home (**I like this one, hint hint 😉 **) They can all be purchased individually for $2.97 with each talk being about 40 minutes long. You can also purchase the entire series for $19.80 by clicking on the link for “Series” with over 7 hours of enjoyable listening time! The audio and video quality of the talks I have watched or sampled have been very good. I was hoping to post this last night, however, there was just so much to do, and I did not feel that I even got half of it done! Not that I didn’t do anything, it was just that life happens sometimes, and with children life happens often ;), as well as regular stuff to deal with. I think the only thing on the list that I got done (and one could argue it was the most important thing to do last night,) was calling to say hi to my 91 year old grandfather, who not only answered the phone before the answering machine (he screens his calls from telemarketers), told me he was happy to hear about the conference and the fact that we learned a lot from it, asked me a lot of questions about our homeschooling and was very impressed with that and other things – all within the course of the 10min 52sec phone call – which might actually be a record for him! One big bonus of homeschooling is that I have learned to be more organized. Don’t get me wrong, I still have a LOOONG way to go, but I am sure a lot further along than I was when we started! I have learned that I need to prepare my Yom Tov meals several days in advance so I know what I need in the house, and not the night before. Now I am happy that I was only able to do a partial shopping on Sunday, for that means I can actually make things that I would like to have because there is still money left for the week to buy stuff! There is positive in everything. I’m going to finish up today, short and sweet. Tuesdays are a short day, which will allow me to finish up my Shavuos plans. Right now I know that we’re eating pizza and ice cream at shul on Sunday, and IY”H we will be making homemade ice cream, yum! I guess that is the important part, right? 😉 Wishing everyone a wonderful Yom Tov (and Shabbos) this weekend! Author adminPosted on May 22, 2012 Categories HomeschoolTags Homeschool Conference, organize, ShavuosLeave a comment on 2012 Conference Videos Are Here! I will start off by asking for people to daven for Reuven Dovid ben Miriam. (***updated name***) He got hit in the throat with a baseball and had to undergo surgery. Baruch Hashem he is alive but will have a stint in his throat for 6-8 weeks, not being able to talk. He will have a tracheotomy tube to breathe through until stint is removed. Afterwards, they will attempt to do reconstruction surgery and hopefully will be able to talk again. It was a busy day today. Much has happened, and not with my children, but as I walked back into the house this evening, with my mind all full of different thoughts from the day, I took just a second to let what I saw and felt sink in. The 2 year old was standing at the kitchen counter on one of our folding chairs, singing and bouncing, just asking for the chair to collapse. It was nothing unusual, he loves to do that, however tonight it struck me different than usual, not sure why. Perhaps it was a combination of the day – making a shiva call, going hiking with the family, finding out my friend’s husband got severely hurt in a very unusual accident, to other things – some planned, some unplanned, but it seems that on these days the little things get looked at differently. These boys all have the same mother and the same father, but yet, each is vastly different from each other. Raising even one child is not easy, as any parent will tell you, however, there is something kind of refreshing to working with each of the children. It takes a lot of work and effort on the part of the parent to not just “raise” a child, but to raise each child in the way that is best for them so that they will grow to their unique potential. Up until this week I would arrange the order of the lessons to what suited me, and for the most part it seemed to work out well. It was not until this week that I realized that it is not always the best for everyone. I found out that in math, one child is better off doing it at the end of the day, the very last thing that I do for then I can sit down beside him for the 15 minutes he needs to finish his work while all the other siblings are out of the room. This child needs me to give him my 100% undivided attention while he works on his problems. Not that I do any of the problems for him, but I am there to help keep him on track. He needs me to ask him what the next question is, he needs me to ask him what he needs to do first, etc. With my attention and the lack of distractions from others, he all of a sudden can finish in a reasonable amount of time! Perhaps it is the joy a parent gets from watching their children grow, but perhaps it is also the feeling that I too have grown. Raising children is not just about the children. Raising children is also about us, the parents. It is easy to go through the moments where the child is listening and doing what they are supposed to do. The challenge is when it is not so easy. What happens when you all have a wonderful day and it seems ruined by the fact that at 10pm the children are still not in bed for they are just too wild and wired from the excitement and exhaustion? What happens when a child throws a huge tantrum every time they think life is so unfair? What happens if there are other bad middos such as lying or hurting taking place? But if we would look back at ourselves, we would see that we too have grown. At first, we never imagined that we could cope with certain situations, and now, those situations are a piece of cake! And not only that, we find that while we are dealing with new challenges, we also add more things to our resume that we might never have dreamed of. So, as I am thinking about how wonderful it is to be a part of our children’s life and to see them grow and mature, I hope this feeling will be able to carry me on to the next challenge, whatever that may be. Hopefully I will remember that with my constant love and devotion that this too will pass and be outgrown and the gorgeous, amazing, unique flower that is emerging will continue to unfold.